Ed Jacobs looks at the reaction to the debate on Scottish independence from Wales, Northern Ireland and the English regions. As the debate over the future make-up of the United Kingdom rumbles on, with Alex Salmond using an interview on the BBC’s “Sunday Politics Scotland” programme to call for a meeting between him and the prime minister, one former Labour cabinet minister has called for the debate to include a re-examination of the prospects for regional devolution in England. With the Boundary Commission for Wales last week announcing its plans to cut by a quarter the number of parliamentary constituencies in Wales, the Labour MP and former Secretary of State for Wales and Northern Ireland, Paul Murphy, has called for measures to prevent the dominance of England within the union. “In effect it is an English parliament in the sense that they’ve got in England far more members of parliament than Northern Ireland, Scotland and Wales put together. “Although it didn’t work before when we had a referendum in the north east of England, I’m not quite so sure these days that English devolution within the regions is off the map. Murphy’s comments come as the latest in a string of developments which are beginning to focus on what the consequences of an independent Scotland might be. Speaking at Friday’s British-Irish Council meeting in Dublin, Welsh first minister, Carwyn Jones, whilst expressing his hope Scotland would remain in the Union, argued changes would be needed if Scotland was to go it alone. “You can’t just take Scotland out and expect the UK to continue as before. You would have for example, a Parliament in London with about 550 MPs, 510 of whom would be from England. Well that’s no good to us at all. “Why not have an upper house with equal representation from England, Wales and Northern Ireland – same as the Senate. It would be more of a federal structure. For David Williamson, political editor at the Western Mail, the developments are a growing sign of the Celtic nations asserting themselves within the union. This came days after Mr Jones made it clear that he would speak up for Wales on international issues. When Alun Michael entered the old Assembly debating chamber for the first time as Labour First Secretary in 1999, did anyone imagine that in 2012 a Labour first ninister would argue that he spoke for the people of Wales on the world stage and that the institution he led was their elected government? Who would have thought there would not be a Labour first minister in Scotland? “Regardless of whether the SNP wins or loses the referendum, a revolution has already taken place in UK politics. “Historians may look at this extraordinary evolution as a result of a growing sense of Welsh and Scottish nationhood, hastened by anger at the Westminster expenses scandal, the bloodshed in Iraq and the bail-out of bonus-rich bankers. So Westminster is in effect an English parliament, simply because most of its members have English constituencies? Would Mr Murphy want to explain why just about nobody there ever uses the word ‘England’? Those MPs from England have been selling their constituents down the river for decades. On the question of governance, shouldn’t there be a referendum in England to decide the issue, rather than Wastemonster imposing its ideas on us? If democracy is good enough for Scotland, Wales and Northern Ireland (a combined 15% or so of the Kingdom’s population), it’s good enough for 100% of us. After all, we all have the same citizenship and pay the same taxes. I can’t help thinking Mr Murphy’s concerns aren’t so much preserving the ‘Union’ as keeping his ticket for the Wastemonster gravy train. Most English people I know, including me, don’t want regional government. We want an English parliament. That is why Labour were forced to abandon their plans for regional devolution last time around. This is one more example of Labour trying to circumvent democracy in order to compensate for the likely loss of their Scottish heartland. It is ironic that it was their constitutional meddling that seems set to lead to the collapse of the union they said they wanted to preserve. Oh yes, blame Labour when it’s the Tories doing all they can to dissolve the Union. The status quo is indefensible as it is clearly unstable in the longer term. 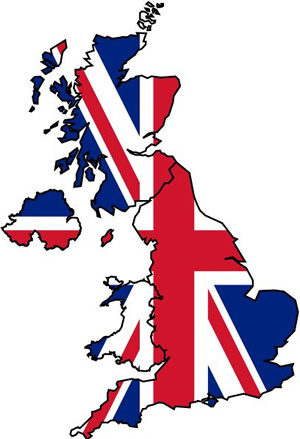 The left should move away from falling behind Camerons “all or nothing” gambit which ultiately offers Scotland AND England nothing but the chance to stay locked in a sterile Union where constitutional change is ruled out or you can just pack your jolly bags and leave. This is a betrayal of any genuine leftwing belief in giving a voice to the people. It is a betrayal of equal rights for the citizens of all nations within these islands. Why does Labour fear giving fiscal responsibility to Scotland, thus scraping Barnet and claims of dependency, and a government to England, which is only just? As a Scottish nationalist, born in London, I find it offensive to deny English people the same rights as Scottish people, whether Scotland stays in or leaves the Union. So why do these supposed British nationalists have no such qualms? but Labour started the process with devolution and promoted anglophobia in Scotland during the 1980s/90s. You can’t deny that can you.